Java Post Tour 2014 from Java Post Production on Vimeo. So. You have this great idea for a video. It’s made it through the client brief stage, the scribbled-on-a-napkin stage, the brainstorm stage, the storyboard stage, the pitch stage…and now it is time, as they say, to get that idea “off the page and on the stage.” Or on the broadcast, cinema, web, classroom, or electronic sign screen, as the case may be. You're looking for the perfect production company to treat your baby with the same loving care and attention you’ve given it this far. So, you set your sights on companies in Vancouver, Toronto, Montreal...maybe even New York and L.A.
Well, it's time to wake up and smell the coffee – the delicious, freshly brewed, dark roast aroma that inspired the distinctive name of the production house you should seriously consider. Welcome to Java Post Production, one of the finest production facilities in Western Canada. When it comes to production, post-production, photography, editing, Transport Canada-licensed aerial photography, motion graphics, 3D animation, and visual effects for television, cinema, web, electronic, corporate, or training projects, Java Post has the experience, the people, and the tools to bring your project to life. Our impressive roster includes such clients as Tourism Saskatchewan, K+S Potash Canada, SaskTel, Amec Foster Wheeler, SaskPower, Universal Studios, SyFy Network, CBC, History Channel, Saskatchewan Gaming Commission, Vérité Films, Saskatchewan Government Insurance, Minds Eye Entertainment, Mosaic Company, Trilight Entertainment, TSN, and the Saskatchewan Roughriders. From our producers and production coordinators to our photographers, editors, drone pilots, animators, colourists, and visual FX artists, Java Post prides itself in the fact that every member of our production team brings their special brand of craft, creativity, experience, and enthusiasm to every single project, large or small. But don't just take our word for it -- come drop by our offices and see for yourself. We'll be there with a smile, a solution, and a hot "cuppa Joe". 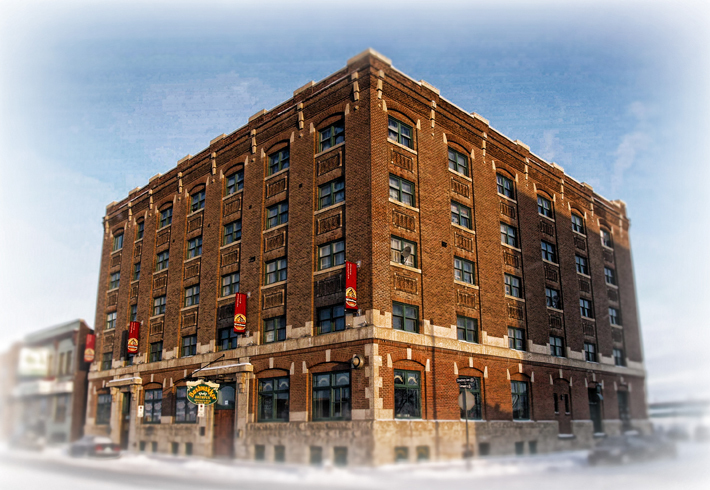 Located on the fourth floor of the Strathdee heritage building in Regina, Saskatchewan, Canada, Java Post is a full-service digital video production and post-production facility. Java Post Production has been serving the Canadian market for more than 25 years, providing full “script to screen” production and post-production services, such as offline and online editing, cinema-quality colour correction and grading in a THX-calibrated video environment, 2D and 3D visual effects, Transport Canada-licensed Ultra HD aerial photography, closed captioning, and mastering services. Stop by for a visit, a cup of great coffee, and a quick tour. And if you pop in around 4 pm on a Friday, there could also be beer. Just sayin'.